available in 40, 42, 44, ou 46 cm (ext-ext), with a clamping diameter of 31,8mm. The new SL is the lightest and stiffest handlebar which passed the very demanding EFBe test. It has a very high lightness to stiffness ratio, and the resistance is as good. – SS (Short Shallow) (depth 84.5, height 128). 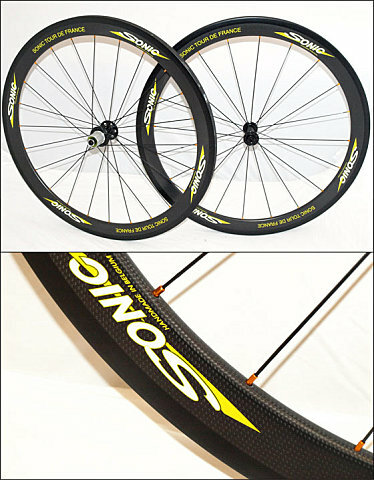 This model is the stiffest from Zipp, it can deal with very high torsions, 60% of the bars are 31,8mm. 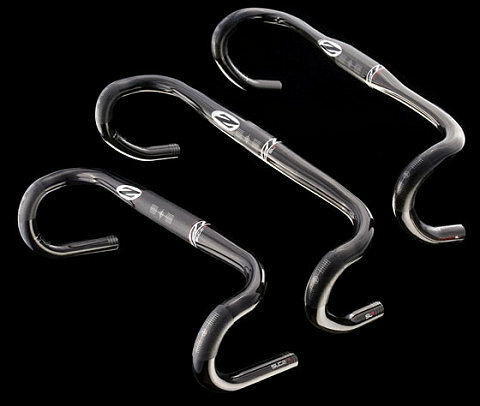 This is the perfect handlebar for the sprinters or to mount VukaClips. Comfort, ergonomy, stiffness and aerodynamism. The wing shape is both aerodynamic and comfortable. are black DT Aerolite instead of silver Sapim Cx-ray. Although there is no real technical new, the game Pro Cycling Manager 2008 is included, collector version please! Quick releases, wheelbags, brake pads and valve extenders supplied. Only 120 sets available from the 27th of June.